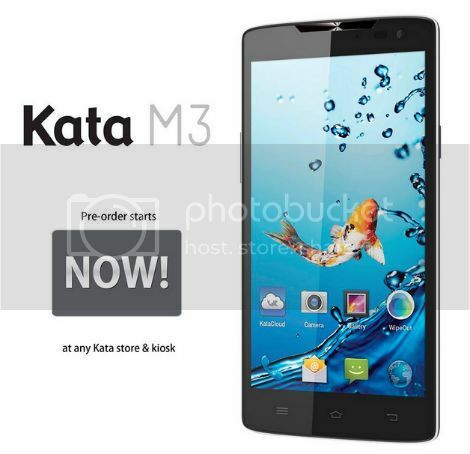 The Kata M3 now takes the limelight as it’s unleashed finally in the local market at a special pre-order package of Php10,999. So what exactly are you getting from this great deal. Well, besides the sleek, shiny new M3, you get to have a free powerbank and a whooping 35GB Kata Cloud Online Storage! And it’s not because you have a lame battery and a small storage allocation on the phone. But, it allows you to take a poweruser mode anytime, anywhere. What good is it with its 16MP rear and 8MP front cam if you keep on fumbling deleting your photos and videos to reclaim space. Or an octa-core processor with 1.7GHz clock speed for your gaming pleasure if you can’t play for some more extra hours. A great HD display if you can’t watch at least 3 episodes of your favourite series. If you want to take advantage of such great device and cool freebies at the same time ASAP, then just head right away on Kata’s outlets or kiosks nearest you. If you’re wanting for more info, we’ll see if we can get lucky enough to hold on this one, too. Stay tuned.